Learn about Orange HRM Human Resources (HR) software for small businesses. Includes info on Orange HRM, free trials, pricing, customer reviews, and FAQs. Orange HRM provides a powerful Human Resource (HR) software created for small to medium-sized businesses. The software offers an open source and free product, equipped with comprehensive features. These features include a document manager, attendance manager, and performance tracking. Orange HRM offers an open source and free software suitable for startups. However, small to medium-sized business owners can contact Orange HRM and request a quote. To request a personalized quote, visit orangehr.com and click 'Request a Quote' in the footer menu of the homepage. Pros: Very easy and user-friendly software. Great customer support. Cons: Does not offer integrations with other applications. Technical support can be costly. Bottomline: Great product with an intuitive interface. Easy to use. 538 Teal Plaza, Secaucus, New Jersey 07094,USA. Is there an Orange HRM free trial? Yes, Orange HRM offers a 30-day free trial. To access the free trial, go to orangehrm.com and click 'Free 30 Day Trial' in the homepage main menu. What are some Orange HRM alternatives? Where can I find the Orange HRM login? Orange HRM does not offer a login option. OrangeHRM solves the often daunting task of managing all aspects of employees/staff and does so without the usual steep learning curve associated with many HRM tools. There is no doubt that OrangeHRM is a cost-effective and somewhat user-friendly alternative to pricier proprietary solutions (especially for smaller companies), but with the increasing consumerization of the workforce (especially with Gen Y workers), it's difficult to say whether organizations will continue to want to take part in such a basic version. 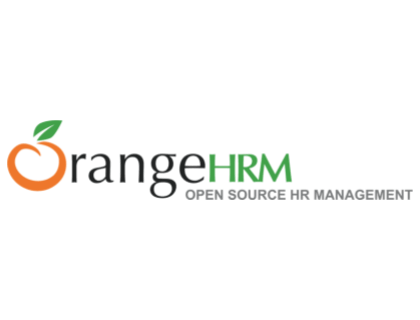 OrangeHRM is a comprehensive and totally free human resource management system designed for small and medium-sized companies. Since OrangeHRM is open source, it’s extremely stable and rarely requires patching or upgrading.